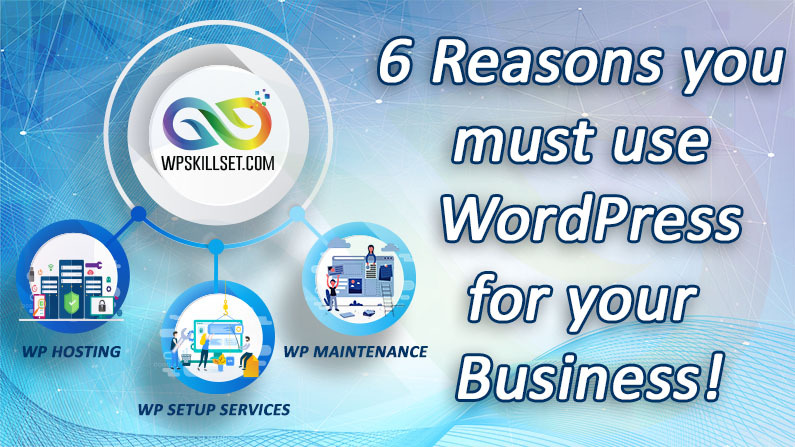 You’re here likely because you’re trying to decide if WordPress is the right tool to build your business website. It’s a common concern to have, as there are dozens of different website builders, platforms, and content management systems to choose from. And you would want the best for your business. Why use WordPress? WordPress now powers around 30% of the internet. Is WordPress good for a business website? The answer is yes. You have different needs than someone who is just building out a simple site for personal use. Your website needs to offer you flexibility and control as a business owner. It should be easy to use, and the platform should scale to meet the growing demands of your business. You can understand below how WordPress does all of these things and more. As a business owner, you would probably want to cut costs when possible. You are probably looking for the best possible deal but you don’t want to sacrifice quality. Luckily, WordPress satisfies those requirements. WordPress is completely free and open source. Your investment will be in your domain name and the WordPress hosting plan. You could use a free WordPress theme or a premium theme to build out your site. You will have some initial upfront costs, but the lower recurring costs will make it a better investment for years to come. You can build any kind of site you wish with WordPress, from advanced e-commerce sites to page content machines and any kind of site in between. You have lots of different theme options to choose from. You also have a massive marketplace of the most popular WordPress plugins you can choose from to add more features to your site. The flexibility of WordPress is part of the reason it’s so popular. No matter what kind of business site you want to build, WordPress can help you build it. WordPress is open source, which means it’s not proprietary. You are self-hosting your own website which means that you own everything on your website-your files, content, media, and even where you want to host your site. As a business owner, you need your site to be secure. Getting your site hacked, or having a security breach can lead to a loss of trust in the eyes of your visitors. In some cases, their personal data can even become comprised, which can be difficult to recover from. Almost every system is vulnerable to hacking, as WordPress is such a popular platform it’s more likely to be the subject of an attack. But this also means you have even more people working to prevent those attacks and create patches when any security vulnerabilities might arise. You have an extensive set of security plugin options you can install to greatly improve the security of your site. You also have the ability to choosing the right WordPress managed host who will take your site security to great heights. WordPress owns 50-60% of the global CMS market share making it the most popular CMS platform. WordPress is a popular, dedicated and genuinely helpful community. There are dozens of blogs and sites dedicated entirely to teach you the ins and outs of WordPress and help you overcome any issues you might run into. There are thousands and thousands of designers and developers who know WordPress and are ready to help. WordPress powers everything from small blogs all the way up to some of the largest websites online, like CNN, the New York Post, and more. What explains this varied demand? It has endless customization options. it’s built to scale and manage even the largest websites that have thousands of posts and get millions of visitors per month. No major upgrades will be required to meet this growth. You’ll have everything you need to scale your website right from the very beginning. If you’re looking for more information on WordPress or website design services, contact us. One of our web experts would love to tell you more about the features and benefits of WordPress. To learn more, please write to us at Support to know more.